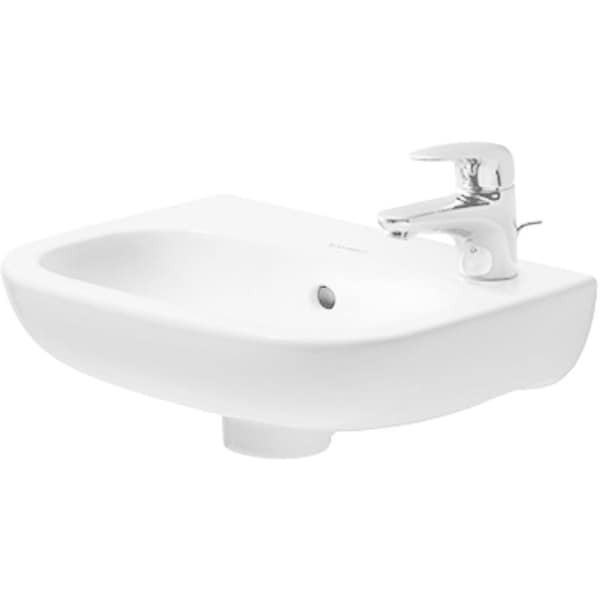 Complement the minimalist style of your bathroom with this wall-mounted sink from Duravit. The white porcelain construction matches any design but shines best when paired with darker color schemes. Dimensions 15.0 In. X 18.0 In. X 9.0 In.